Boyer Moving & Storage has had the opportunity of handling some of the largest and more complex office and industrial relocations to take place in the San Diego Area. 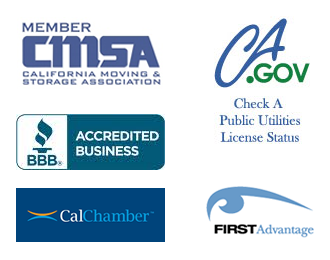 The following are some of the reasons companies select Boyer Moving & Storage to relocate their firms. You will find some of these ideas and benefits to be unique and very personalized, but imperative to bring your relocation to a satisfactory conclusion. I, as owner of Boyer Moving & Storage will personally work and supervise all phases of your relocation. Management supervision is a rare quality today, no other office moving company in the San Diego Area can duplicate our supervision of office relocations. I will conduct all pre-move meeting with you and your move committee. There should be weekly meeting starting 3 to 4 weeks before the relocation. All of Boyer Moving & Storage workers are trained in office moving procedures by Ron Boyer who has 25 years experience in office moving. Boyer Moving & Storage does not use contractors to do their moving; all other moving companies in San Diego use contractors. I will color code your floor plan, pre-mark the new space with placement cards and provide the color coded moving tags for your use. All computers will be moved in specially designed containers. We will lay tempered masonite on floors to protect carpet and marble. All of Boyer Moving & Storage trucks are air-ride for the safety of your computer equipment. I know you will find that Boyer Moving & Storage surpasses all others in professionalism and service, and I look forward to personally handling your relocation and storage needs.